The Bennigan's location at Interstate 20 and Hulen in south Fort Worth. 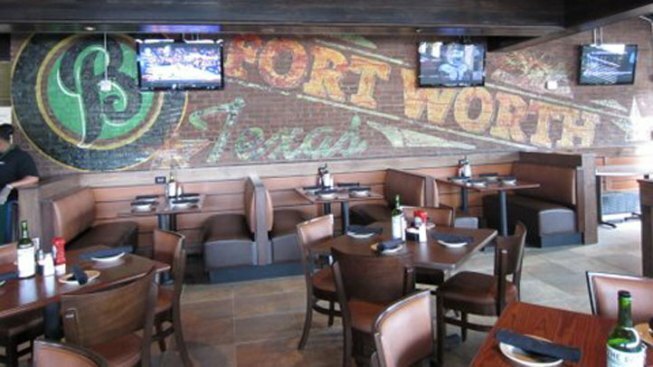 Bennigan's continues its rise from the ashes with it's latest location now open in Fort Worth. With three restuarants already open in North Texas, including one at DFW Airport, the fourth location is in south Fort Worth at the intersection of South Hulen Road and Interstate 20. While the Fort Worth restaurant is now open and serving Monte Cristo sandwiches, they'll hold an official grand opening party on Jan. 9 complete with a live radio broadcast, a ribbon cutting ceremony and, of course, food and drink specials and gifts. Bennigan's South Fort Worth is open from 11 a.m. to midnight Monday through Thursday, from 11 a.m. to 1 a.m. Friday and Saturday and from 11 a.m. to 10 p.m. Sunday. Bennigan's has been slowly rebuilding after the former parent company, a Plano-based ownership group, shuttered most of the locations while filing for bankruptcy protection. Since then, the brand has been resurrected under a new Dallas-based ownership group that has built the franchise back to 82 locations worldwide with dozens more planned.